Today we celebrate the 200th birthday of Sir Redmond Barry, founding trustee of the Library. Sir Redmond Barry (1813 – 1880) was an Anglo-Irish lawyer who arrived in Melbourne in late 1839. He subsequently became a founding judge of the Supreme Court and later, in 1860, received a knighthood. 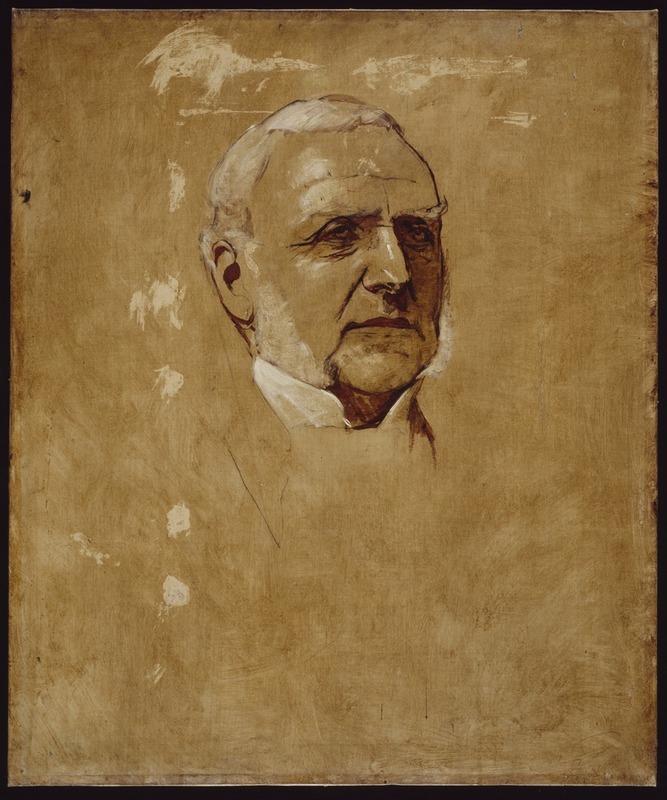 In 1853 he was appointed by Lieutenant-Governor La Trobe as Chancellor of the University of Melbourne and Head of the Trustees of the Melbourne Public Library, positions he held for nearly thirty years until his death. During that time he also oversaw the establishment of the Museum of Victoria (now Melbourne Victoria) and the National Gallery of Victoria. Barry’s commitment to the Library was all-encompassing and his vision was for a ‘great emporium of learning and philosophy, of literature, science, and art’. When its first acquisitions were to be made he advertised for suggestions from the public. Receiving no replies, Barry compiled his own list of books and sent it off to London. On the eve of the Library’s opening, he was busy unpacking and shelving the last books in readiness for the next day’s readers. Barry had also overseen the architectural competition for the design of the original Library building, which specified the structure must be capable of expansion. The competition was won by Joseph Reed (c.1823 – 1890) whose design met requirements: the building tripled in size within ten years. Reed’s firm designed all future Library extensions up to and including the Domed Reading Room (now the La Trobe Reading Room), which celebrates its centenary this year. Discover more about Sir Redmond Barry and the creation of the Melbourne Public Library (now State Library of Victoria) in our new exhibition Free, secular & democratic: building the Public Library 1853–1913. A further suite of events presented by the State Library of Victoria, Supreme Court of Victoria and the University of Melbourne explore the character, impact and legacy of Sir Redmond Barry’s life work in the City of Melbourne and the State of Victoria. The Library also commemorates Redmond Barry with an annual lecture. Happy birthday Sir Redmond Barry. Thank you for your vision and for your confidence in the people of Victoria.